The question I am asked most as I travel are questions regarding the family. Never in our lifetime have the truths about the family been more important than now. The family is under attack from every direction. We are at a crossroads in our society, and pastors must lead the way in having a godly and principled home life. For three weeks Mrs. Gray and I will be sharing what we taught in our home and how we dealt with issues that affected our family. This free three week class could be life-changing, but certainly will be helpful to those who avail themselves of it. I hope you will join us. PLEASE GO TO WWW.IBAPTISTCOLLEGE.ORG AND YOU WILL FIND A LINK ON THE FRONT PAGE WHERE YOU MAY REGISTER. 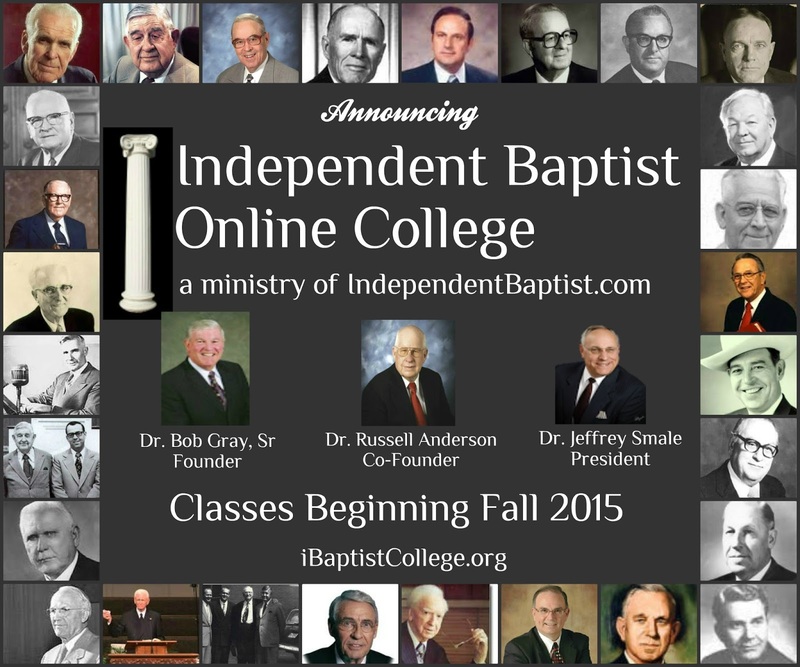 CLASS BEGINS JULY 2, 2015, AT 7 PM CT. PLEASE TAKE ADVANTAGE OF THIS FREE THREE WEEK ON LINE CLASS!